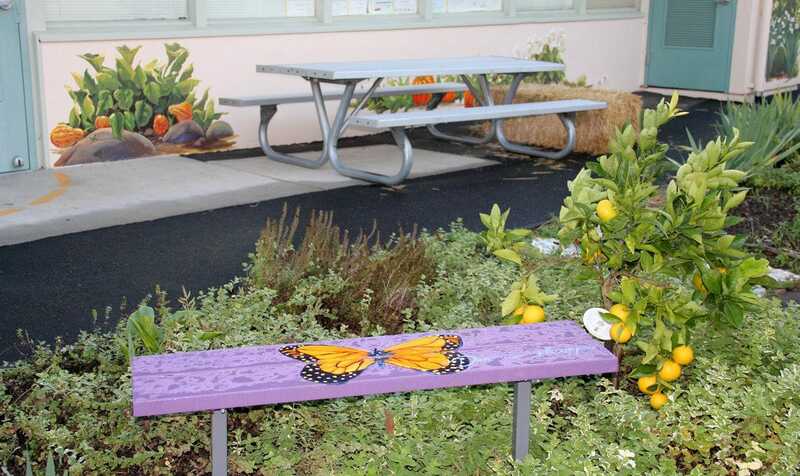 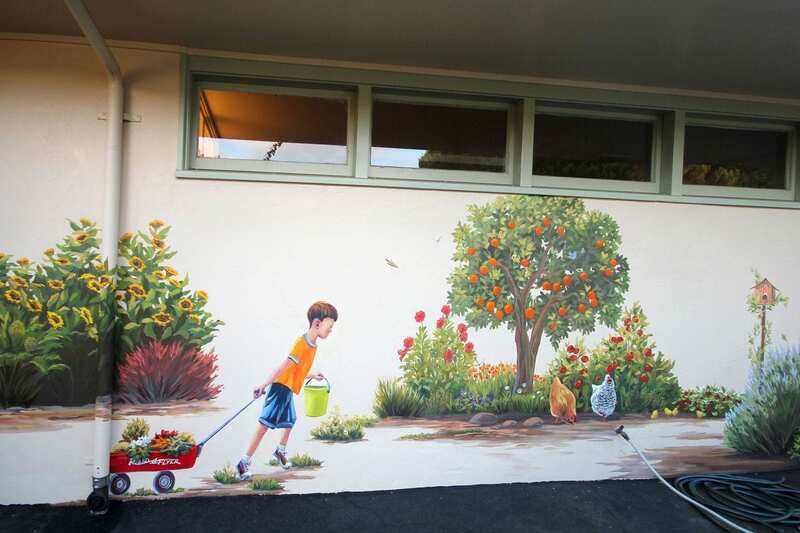 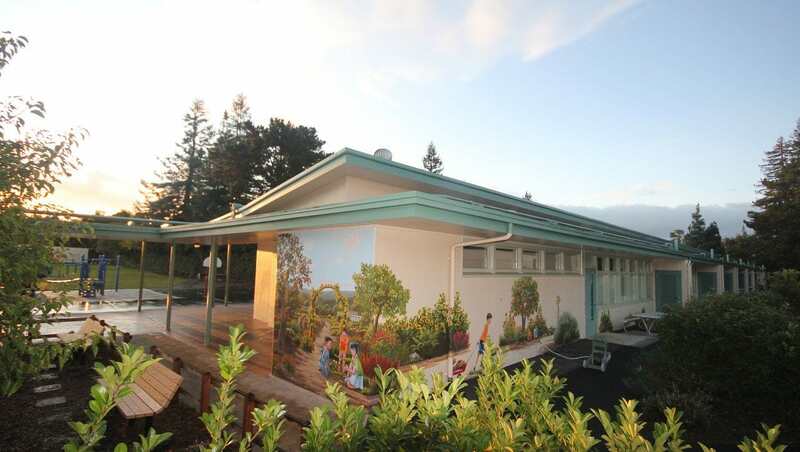 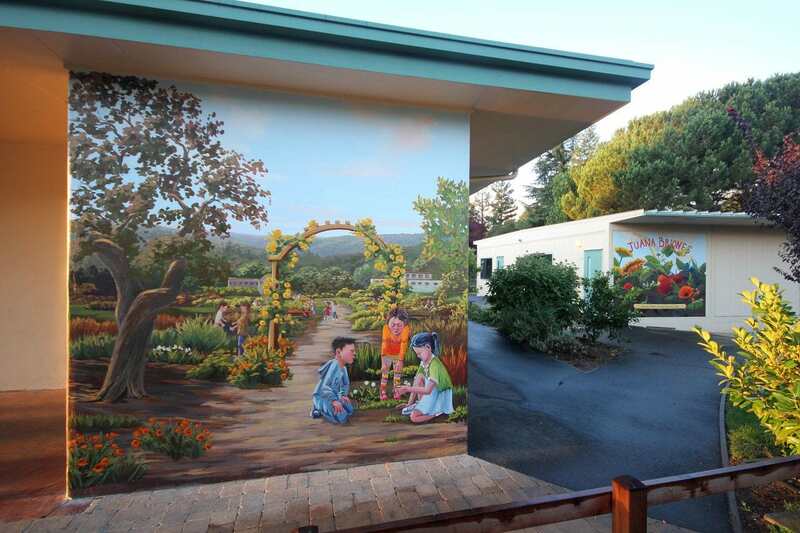 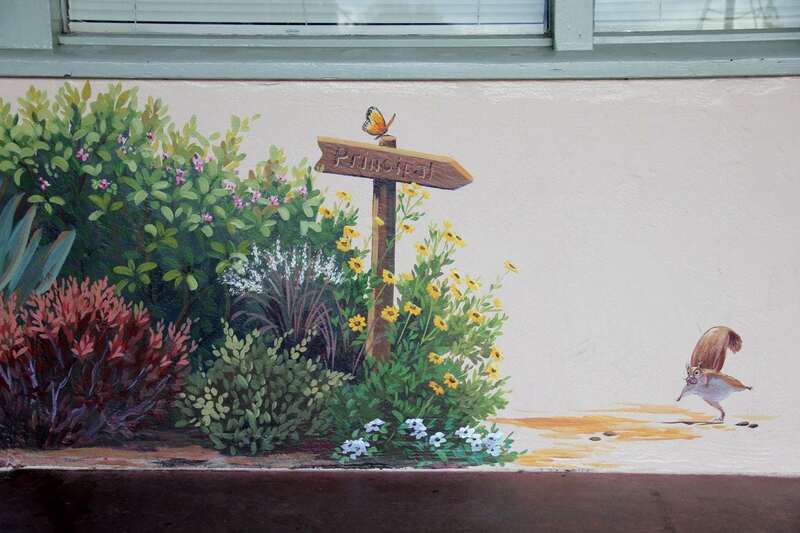 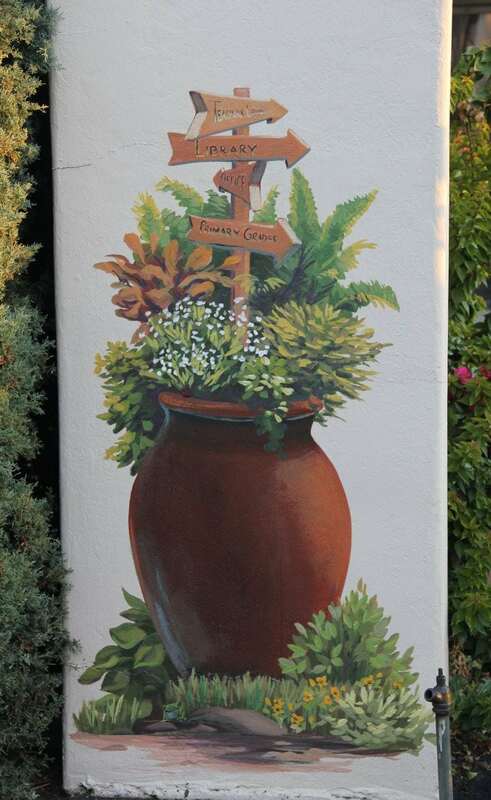 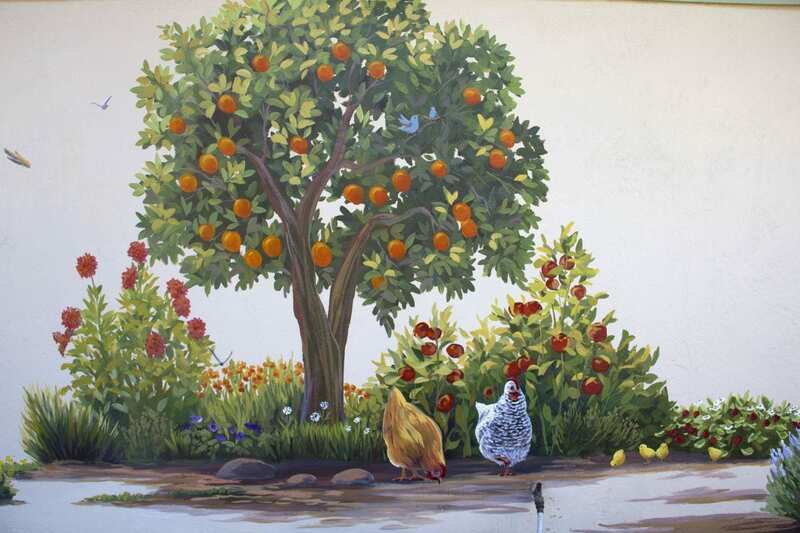 This series of murals and vignettes were painted around the vegetable and reading gardens in the primary grades area at Juana Briones. 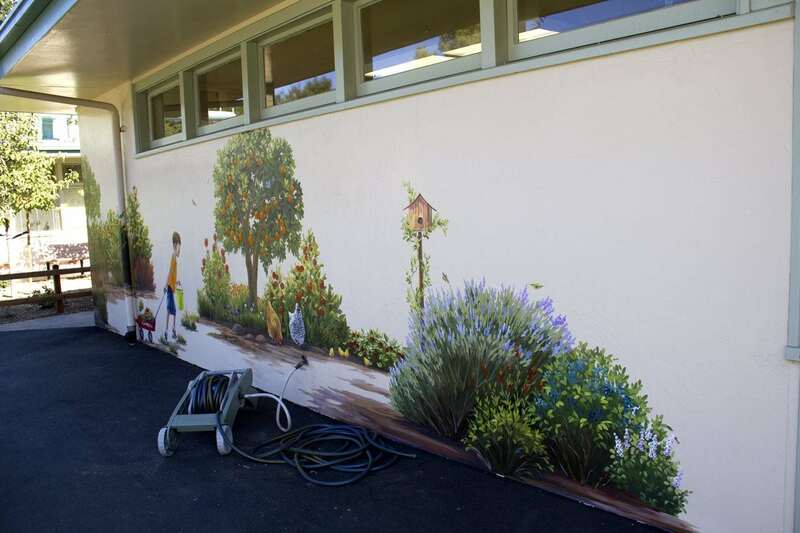 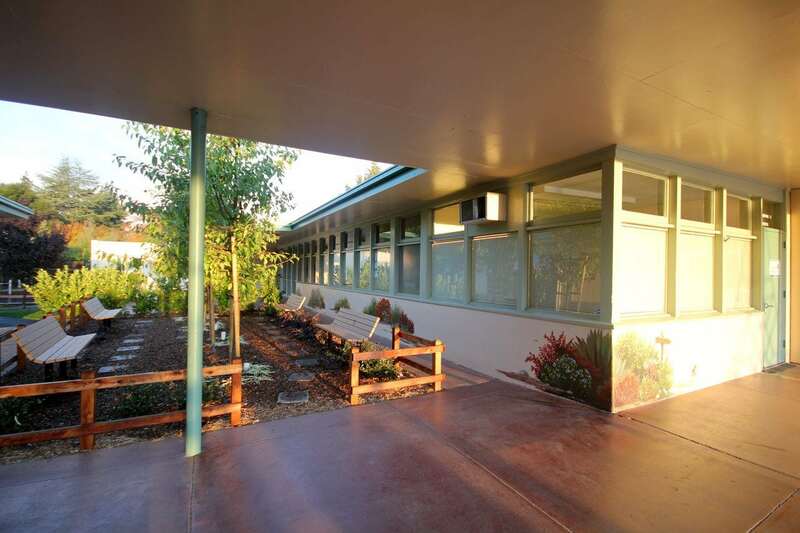 The purpose of the artwork was to transform the primary grades area into a destination, not just a pass-through. 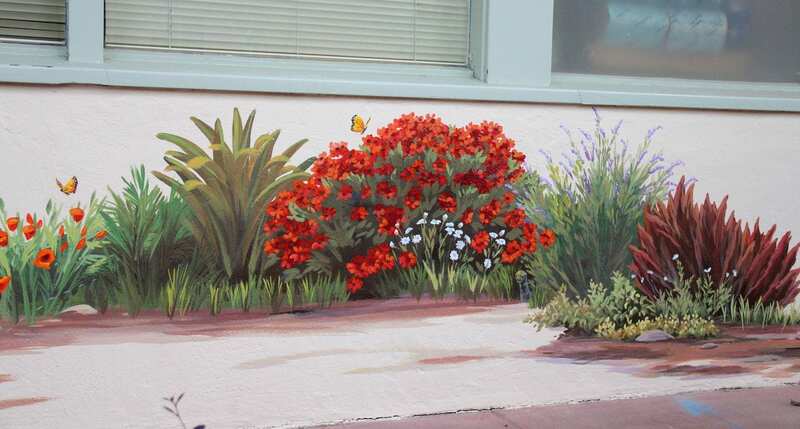 A LOT of surfaces were painted to tie together a divergent area. 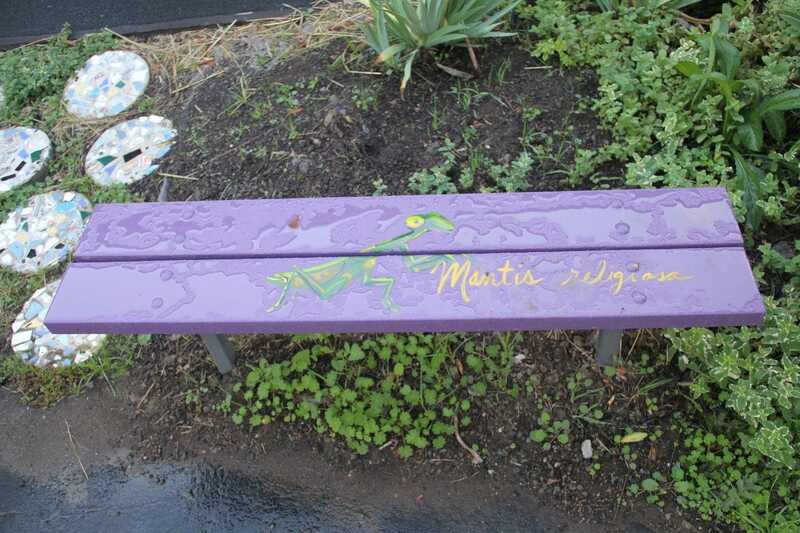 Much to the delight of the children, lots of little bugs, snakes, chickens, frogs and hidden fairies were incorporated in to the “art plantings”. 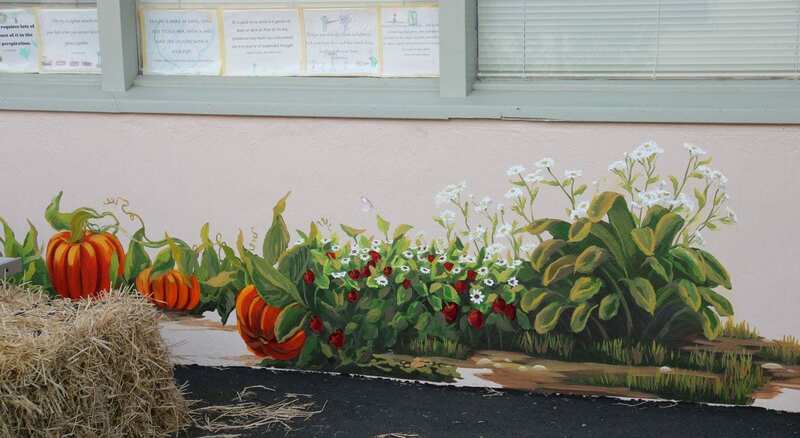 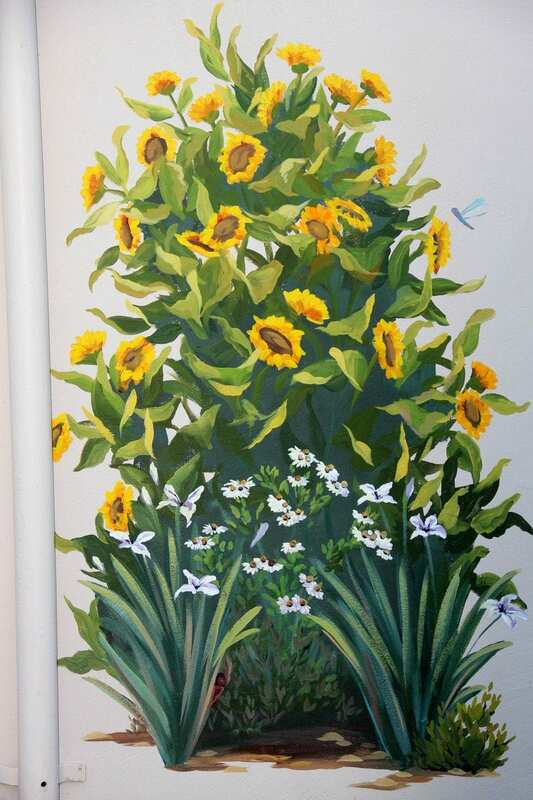 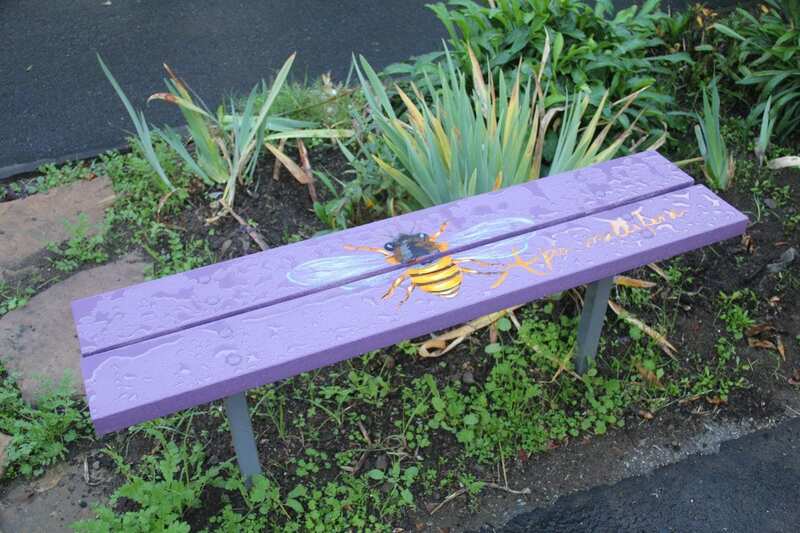 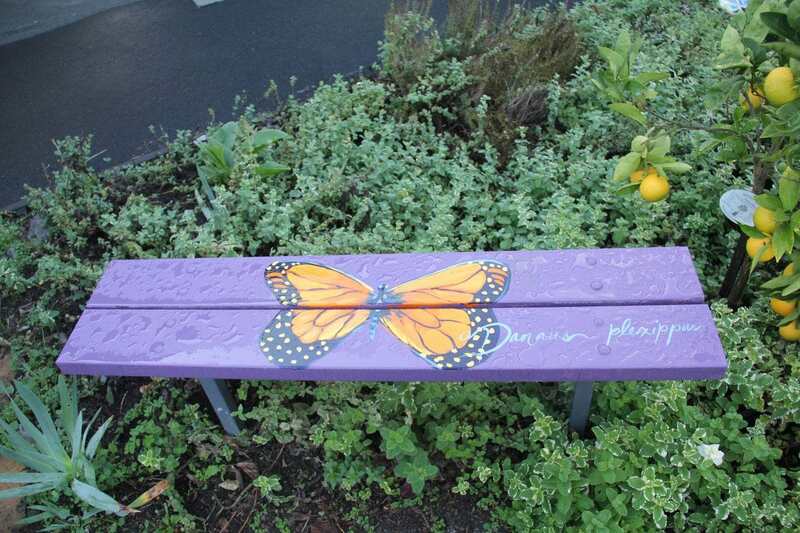 For more information about this mural project, read my blog post There is Beauty in the World. 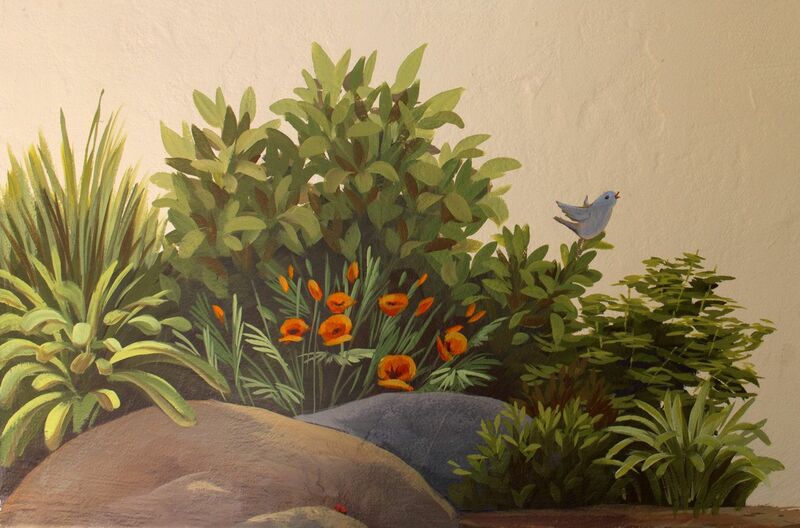 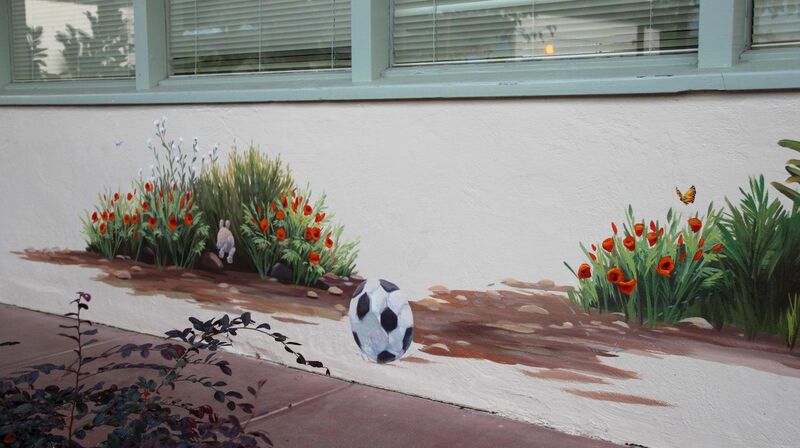 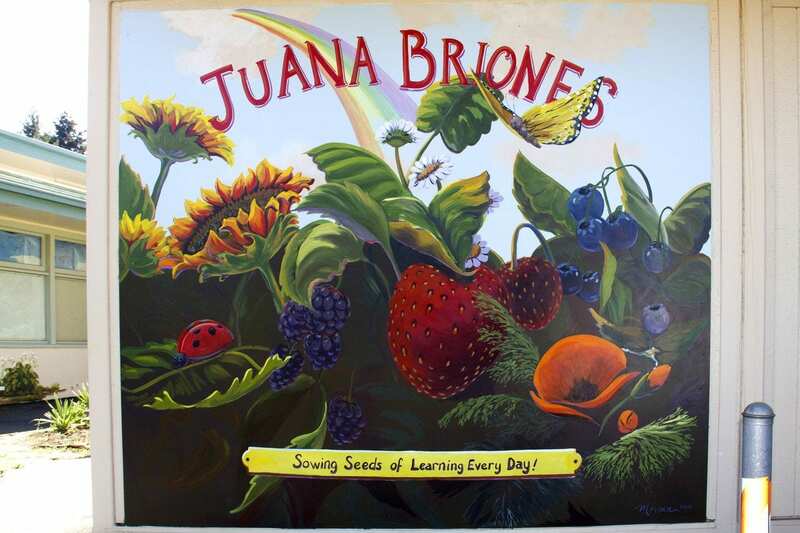 Juana Briones Primary Garden Mural - "Wagon Boy"